There’s no denying it: between work meetings, to-do lists, presentations and mandatory tea breaks, it can be difficult to keep up-to-date with the constant stream of updates from social media giants like Facebook, Instagram, Pinterest, Snapchat and Twitter. As we approach the halfway mark of 2017, we thought it would be a good time to create an inventory of all the key changes to have taken place over the past few weeks. Did we miss any? Let us know by leaving us a comment. With its new face filters, location and hashtag stories, Ads in Stories and webinar initiative, it’s fair to say Instagram has been on a roll recently. And it’s now been announced that the app will start offering click to Messenger ads—an initiative introduced by its owner, Facebook, last November. 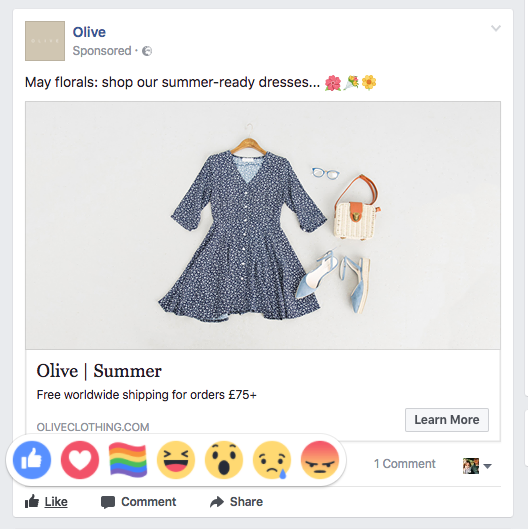 According to a Facebook Business post, when a user clicks on an Instagram click to Messenger ad, it opens a conversation with your business. It added that people would be “sent to your Messenger content, which includes all the text, image and video messages that you set up when you created the ad”. The overall goal? 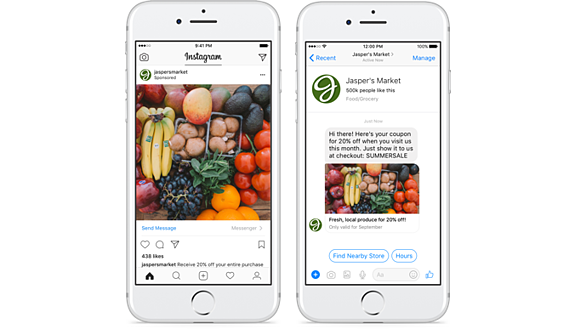 Click to Messenger ads aim to channel consumers’ interests on Instagram into an “active conversation” with a brand. The ads can take the form of an image, video or carousel, and are available in Ads Manager, Power Editor and the API, and can be used on both Facebook and Instagram to “extend your reach”. According to Facebook, there are over 1.2 billion people using Messenger every month. More information available here. Last month, a news story on Facebook Business revealed the social media network is reducing links to low-quality web page experiences. “We have had a policy in place since last year to prevent advertisers with low-quality web page experiences from advertising on our platform. According to another post—this time on the technology company’s newsroom—the update follows negative feedback from the Facebook community about being shown posts and ads that only link to low-quality web pages experiences . It is hoped the move will help existing measures to reduce the “economic incentives of financially-motivated spammers”. According to the post, publishers that don’t have low-quality landing pages might see a small increase in traffic, whereas those who do are likely to face a decline. To avoid falling into the latter category, make sure you have good quality landing pages - both from a technical perspective (e.g. loading speed) and content (e.g. each landing page makes sense in the context of each ad). To celebrate LGBT Pride Month (June), Facebook has added a rainbow flag to its Reactions—joining the current collection: Like, Love, Haha, Wow, Sad and Angry. The flag, a symbol of LGBT pride and LGBT social movements, is only accessible to those who Like the LGBT Facebook page first. The social network has also created a new Pride themed frame that Facebook users can use on their profile pictures. 4.) 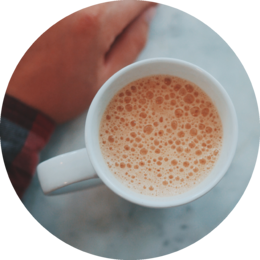 Have you tried out "Custom Stories"? Last month, Snapchat launched Custom Stories. As the video (with its excellent soundtrack) suggests, Custom Stories lets you “create a whole new Story”—this time with your friends. Group Stories: Friends can “choose and create new Stories together around a night out or new adventure”. Geofenced Stories: Friends (and friends of friends) can create Stories that everyone can add to when at a specific place. According to Snapchat, Geofenced Stories is perfect for celebrating a special events, such as a wedding or ‘80s-themed birthday. We’re thinking this could be pretty cool when opening a new branch or holding an in-store event or sale? 6.) Why has Snap installed the Paypal SDK in iOS and Android apps? A blog post by MightySignal has pointed out that Snap has installed what is “one of the most commonly used payment processing SDKs”: Paypal SDK. The blog post is speculative, admitting it doesn’t know for certain why this has been done, but nonetheless makes a few predictions—the most interesting of which being the possibility that Snapchat might be preparing to enable advertisers to sells products directly via the app. You can read the whole article here. After managing to secure another $150 million in funding, Pinterest is now valued at a whopping $12 billion (up from $11 billion in April 2015). According to Business Insider, a spokesperson for Pinterest has said the company plans to use this latest round to “invest in its visual search technology and user growth”. … And on that note, let’s take a look at some of the tech giant’s latest updates on Pinterest Lens. In case you don’t know about one of Pinterest’s most recent features, Pinterest Lens, it’s basically the website’s “new real-world discovery tool” that enables users to “discover ideas without having to find the right words to describe them first”. Lens lets Pinners use the camera in their app to find products spotted in the real-world. Lens now speaks QR: Lens users can now expect to get a quick response on QR codes; all they have to do is “point it at one of those squiggly-maze squares to instantly jump to whatever website or Pinterest board it’s linked to”. Pretty cool.